Apna Open Mic is a well-known regular open mic event which invites Fresh Talents to showcase their talent on an emerging and non-judgmental platform. 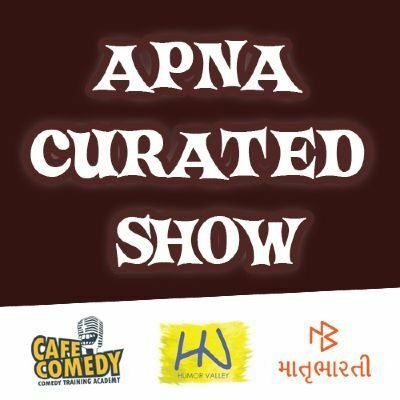 'Apna Curated Show' is an curated event on the occasion of 1st Anniversary of Apna Open Mic. 12+ Artists, 7 Art forms, 100 Minutes of Entertainment. We know you will not miss the chance to attend this event. Give yourself a treat - book your seats now! See you on 31st March 2019, Sunday, 7:30 PM.